In the acclaimed follow-up to the #1 international bestseller The Secret Diary of Hendrik Groen, everyone's favorite curmudgeon is back and as funny and charming as ever with the newest adventures of the Old-But-Not-Dead Club -- for fans of Frederik Backman and Graeme Simsion. Everyone's favorite octogenarian is back and, together with his pals in the Old-But-Not-Dead Club, he is more determined than ever to wreak havoc and turn a twinkly eye on the brighter side of life. After a year spent mourning the death of his beloved friend Eefje, Hendrik may be older and a little more wobbly, but his youthful appetite for mischief hasn't diminished. When fears arise that the home is set for demolition, it's up to Hendrik and the Old-But-Not-Dead Club to intervene. Hendrik Groen started his pseudonymous diary on the literary website of Torpedo Magazine. He says about his first novel: "There's not one sentence that's a lie, but not every word is true." The Secret Diary of Hendrik Groen has been translated into over twenty languages. "You might say he's the Elena Ferrante of the octogenarian set - though whether or not he is actually an octogenarian (or a man) is also anyone's guess...It's an appealing novel with a lot of heart, reminding readers young and old that fun is to be found even in the routine of everyday life. And of course, the possibility that it's more memoir than fiction is delightful." "I laughed until I cried and then laughed and cried some more." "Amusing [and] wickedly accurate...Reading The Secret Diary, I was constantly put in mind of Ken Kesey's madhouse tale One Flew Over The Cuckoo's Nest, another comi-tragedy concerning the tyranny of institutions of the unwanted. Enjoy Groen's light touch but do not be fooled by it....The Secret Diary is a handbook of resistance for our time." "Funny and frank - a story with a great deal of heart." 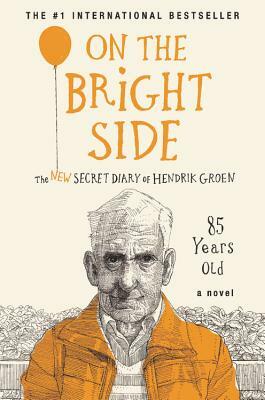 "Groen's day-to-day worries in a retirement home are just as hilarious as the diaries of Adrian Mole."